Marc Landry has over 30 years of experience working with children and families. His talk will focus on how children today are subjected to sensory overload and stress and how this affects neurology which impacts on attachment and resilience. He will discuss how the senses are critical in supporting attachment and resilience including healing from trauma and preventing future trauma. Sharon Selby, a Registered Clinical Counsellor and certified Adlerian Parenting Facilitator, has been successfully helping parents, teachers and students understand and develop strategies for managing anxiety for over sixteen years. Through case presentations, experiential exercises and visual images, she will demonstrate the many ways that anxiety presents itself, the 7 common mistakes people make when a child is anxious and how to create an optimal emotional environment to support children in being more functional and productive in all situations. This presentation will demonstrate ways in which technology can be used as a tool to increase and support students’ access to the new BC curriculum in a diverse classroom setting. Cari Derbitsky, primary classroom teacher, and Deana Ungaro, Educational Assistant, will show some of the adaptive-assisted features built into our mainstream technology which can benefit all learners. Pacific Assistance Dogs Society, with help from an assistance dog, will discuss how their work supports individuals with a variety of disabilities and how the dogs can assist with social/emotional learning. Dr. Stefka Marinova-Todd is the Director of the Centre for Intercultural Language Studies and an Associate Professor at the School of Audiology and Speech Science at the University of British Columbia. Her research focuses on the language and cognitive development of bilingual children, both typically developing and children with Autism. In this seminar, Dr. Marinova-Todd’s presentation will include information on bilingual language development and how it relates to executive function, literacy, and academic achievement. She will also discuss the capacity of children with developmental delay and ASD to be bilingual and implications for their successful education. 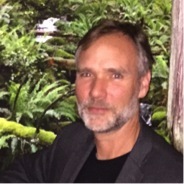 Dr. David Worling has worked at BC Children's Hospital for 7 years in their adolescent inpatient unit and anxiety outpatient psychiatric setting. He began the Westcoast Child Development Group in 2003 and is now in full time private practice while teaching a course on Autism with the Psychology Department at UBC. Back by popular demand, Dr. Worling will examine the core social challenges associated with ASD and link them to existing social skills/competence techniques and programs. The overview will cover evidence-based programs/ techniques and highlight the ongoing need for data-driven and novel approaches in supporting individuals with ASD. Janet Walmsley is a professional writer, actor and singer who has appeared in theatre, film and television. She is the mother of a son, Christopher, and a daughter, Jenny, who was diagnosed with Autism. 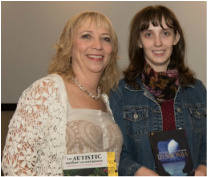 Janet and Jenny have each recently published books; Janet's is about Jenny's life journey with Autism and Jenny's is the first novel of a Trilogy called Dysnomia. In their presentation, the duo will share Jenny’s journey from birth to present (age 22), and how Jenny trooped through a variety of obstacles, climbed mountains peaks and never looked back. The presentation promises to reveal living proof through Jenny that Autism rocks and how a family can positively and proactively deal with Autism. 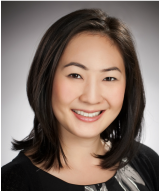 Becca Yu (MA, CCC-SLP, RSLP) is the Senior Speech-Language Pathologist at Monarch House, an interdisciplinary centre that provides services for individuals with Autism and other developmental disabilities. She will discuss common communication difficulties for individuals with Autism and strategies on how to improve interactions and communication. DR. MARGARET WEISS will return for a second presentation following numerous requests from former EduTalks attendees. She will discuss topics such as, “What is ADHD, “ “Sluggish Cognitive Tempo,” “Executive Function,” “Treatment of Attention Problems” and” Classroom Strategies.” DR. WEISS has been described as “the expert to the experts” in the field of ADHD. This is a rare opportunity for us to learn from this world-renowned authority. Her ADHD Workshop sold out in February so please register early for what is sure to be another most informative and beneficial session. AUTISM, ANXIETY, ADHD, LEARNING DISABILITIES, COGNITIVE DELAYS-----these are only a few examples of the challenges that children face and that we, as professionals, must address daily. The diversity of challenges can be very time consuming and even overwhelming for all of us. This seminar will examine concrete ways that classroom teachers, education assistants, educational specialists and parents can work together to enhance the growth and development of all students and effectively address the diversity of learners in today’s schools. EduTalks Seminars is pleased and fortunate to feature DR. DAVE CARTER, former Director of Special Education in Surrey, as leader of this Workshop. DR. CARTER has been an educator in B.C public schools since 1973, having worked also as a classroom teacher, school psychologist, University faculty member and consultant to the BC Ministry of Education and the Attorney General of BC. With over 40 years of working with a multitude of different learners, we look forward to the skills and strategies he will impart to this important topic. 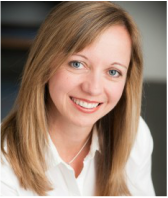 TANIS ANDERSON is an Elementary School Teacher with over 14 years of experience and holds a graduate degree in Literacy from SFU. Prior to this, Tanis worked as a Literacy Support Teacher for the Burnaby School District and has a background in Special Education supporting children with special needs. 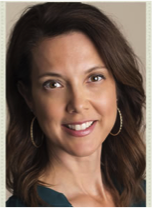 She will discuss a variety of strategies to help address diversity in the classroom. 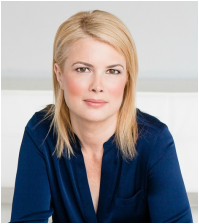 Tamara Taggart, veteran broadcaster, award-winning anchor of CTV News at Six and mother of 3 children, one of whom has Down syndrome, aims to change the way society perceives people with special needs. She draws upon two conversations that changed her life – one as a new mother regarding her son’s diagnosis, and the other regarding her own recent health scare with cancer. Through her experience, passion and a deep understanding of people as a supporter of several organizations that assist individuals with challenges, Tamara will help deepen our understanding of advocacy and the impact of our attitudes and communication styles as vehicles in supporting those with unique needs. 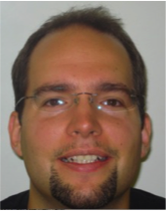 Ryan Santin (M. Ed, RCC), Mental Health Clinician / Therapist with VCH Child and Youth Mental Health Services and Compass Clinic will provide an understanding of how challenges with executive functioning impact learning and behaviour at school. He will provide a tool kit of creative, practical, and supportive interventions for school staff in primary, intermediate, and secondary settings. Topic 1 – What is ADHD? This will be a review of the neurobiology, diagnosis, and treatment of ADHD. This lecture will describe and review our understanding of children who have problems with attention, but are not hyperactive or disruptive in the classroom. Treatment of attention problems and classroom strategies of mitigating the effect of attention deficit on academic performance. In this session participants will learn methods for reducing stress and creating a calm focused classroom. Sue Hall, a Davis Dyslexia Correction Facilitator, is committed to methods that reach the source of learning challenges, and correct them, rather than simply treat the symptoms. She will explain how very simple strategies can prevent learning difficulties from arising. Sue believes there are very few people with actual learning disabilities, they just don’t learn the way they are taught. Leah Mumford (M.Ed., BCBA), a Behaviour Consultant, will examine some important considerations when creating social skills programs for students with ASD such as conceptual considerations, assessment procedures, evidence-based teaching procedures, generalization, home-school collaboration and data collection. A portion of the presentation will focus specifically on teaching social skills through a Structured Social Skills Group (aka the “Lunch Bunch”). Leah Kelley (M.Ed. ), a special education teacher and mother of a 15 year old with ASD, will present a screening of the award winning film Vectors of Autism: A Documentary about Laura Nagle and the short video Dear Teacher: A Letter from Harrison. A discussion will follow to examine and explore ways to support our students with ASD in developing skills to navigate the predominantly non autistic world.